52 Valley View Ln, Eagle Nest, NM 87718 (MLS #102037) :: Angel Fire Real Estate & Land Co.
PRICE REDUCED BELOW APPRAISAL!!! 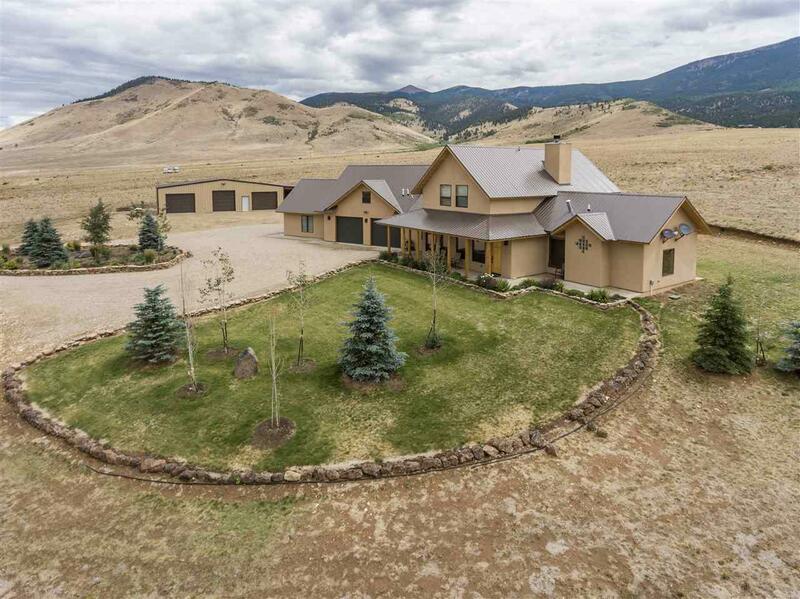 Life Can Be a Year-Round Vacation when you live in this stunning custom Chalet-style 3/2.5/4 home. 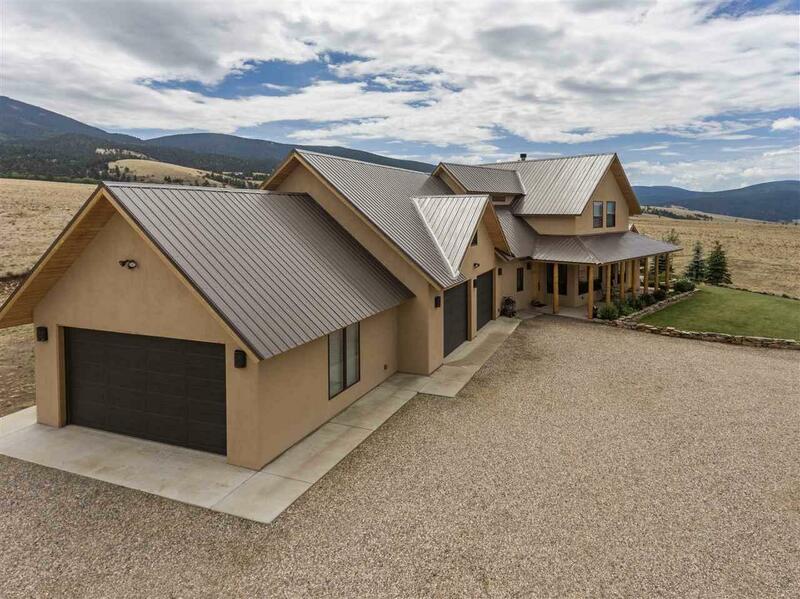 This mountain retreat that sits on 10 acres, is very energy efficient with thermal windows, 2X6 framing, radiant in-floor heating on both levels, along with spray foam insulation throughout the house and garage, as well as 1000 gal. buried propane tank. This property features an open floor plan with large windows throughout the living room and master bedroom. With upgraded plumbing and LED light fixtures as well as custom made concrete countertops and upgraded appliances you won't be disappointed. This home also features a bonus room with an infrared sauna, with plenty of space. Speaking of space, the 4 car attached garage was very well planned out and very functional. You won't lack for space for your extra mountain toys in the 56 X 32 heated shop. If all this isn't enough, there is also a 24 X 32 lean to attached to the shop. The views of Eagle Nest Lake, Baldy, and Touch-Me-Not mountains from the porch are breathtaking. Sit out on the porch and watch the hummingbirds while listening to your favorite music through the Surround Sound system. The Surround Sound system plays throughout the house, garage and porch. 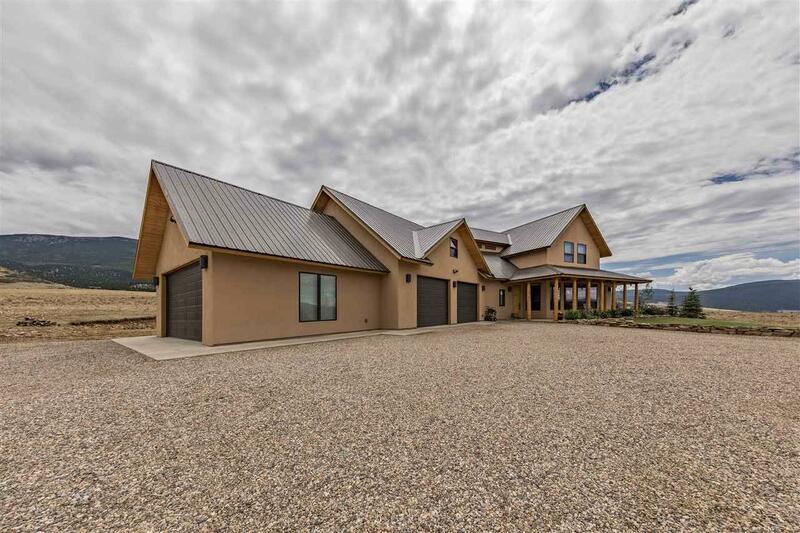 This property is about 17 miles to Red River, and 12.5 miles to Angel Fire, less than 15 minutes to Cimarron Canyon, and 30 minutes to Taos. The location is prime. Restrictions do apply. Listing provided courtesy of Xtreme Realty: 806-935-3448.